PayPal is a universally known e-commerce business platform that allows money transfer and payments using internet. The organization actually works as acquirer that performs payment based services for individual online business owners, for different auction sites and for other similar users. The company charges a certain amount in exchange of the service. If sellers and buyers use special currencies, PayPal authority then charges more than normal. Alto Paolo established this platform in the year 1998 in California. PayPal operates as a fully owned subsidiary of eBay.inc. Patrick Dupuis and David Marcus are respected CFO and president of the organization. Headquarters of the organization is San Jose, California. There are currently 1 consumer reviews about Paypal available. Share your review. I as a customer feel that my value to you means nothing. I would like to use your paypal service as a paying customer during a transaction at check-out time without finding out I have been lied to and misled by one of your customer Reps. that your Co. trains to deliberately mislead the customer. I've been deceived into believing that I made a pay pal payment involving my credit card, only to find out later that once again without my authorization or prior knowledge, you made a partial payment using Bill Me Later. Now, a Co. Rep. is telling me, the Co. I purchased the items from has to bill me and get the charges off of Bill Me Later, of which I believe is in violation of EBay's rules... Oh what a tangled web we weave, when we chose to deceive!!! Now, I have a short period of time to pay off these BMLater charges or be slapped with retro-active high interest rates that are higher than my own credit card. You make the mistakes and use the BMLater service and I have to suffer your mistakes (deliberate and probably fraudulent) ways of dealing with your customers. The sad thing is, you don't seem to care about your customers, as it seems that the bottom line, almighty dollar seems most important. Your advertising is a joke, as you claim that we can make choices in how we want to pay. Not true. Our choices are taken away from us every time we go to the checkout of Ebay. Does Ebay own you, and you own Bill Me Later and you all own how the customer gets to pay for an item up for sale on Ebay??? And the same goes for the seller of his goods too... They are also mishandled in similar ways too! All I wanted to do was be a good customer, pay my bills and maybe later on, sell some of my things on Ebay. Not anymore! Blame it on your policies and how ruthless you must train your phone Reps. that are at the mercy of lying and misleading your customers and mistreating them in an unkind, rude way, when we are having trouble understanding a foreign dialect... and we feel for them... It all has turned my stomach that a giant corp. doesn't care about burning John Q. Public and mismanaging our pocketbook, not yours!!! A security code x 30 is a joke!!! 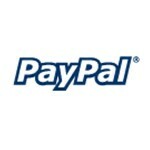 Please take a note that you are about to post a public review about Paypal corporate office on CorporateOffice.com. This review will be public, so please do not post any of your personal information on this website. If you would like to contact the corporate offices of Paypal, please use their contact information such as their phone number, website, and address listed above to contact them. However, sometimes staff from Paypal headquarters do read the reviews on this website.